DarkWave Games (DWG) is the alittleb.it’s gaming brand, that develops high-quality proprietary games to be published on the most important online stores world-wide. DWG’s mission is the development of Multiplatform, Multidevice and Multiplayer Social Games, exploiting the concepts of “gaming ubiquity” and “game as entertainment art”. Even if this is our final goal, we decided to adopt a step approach – so we chose to start from the development of games for iPhoneOS. 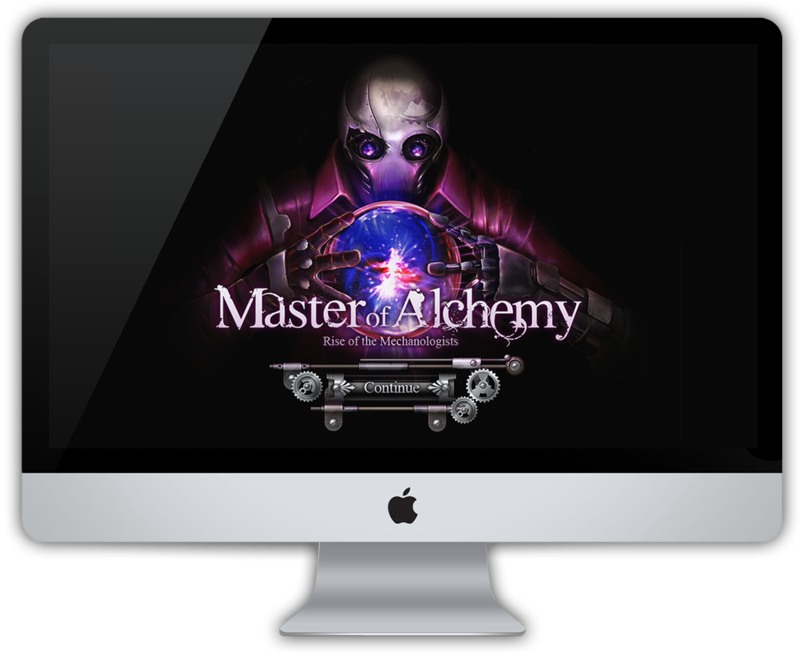 In any case, also Master of Alchemy (our first game) is developed with a proprietary multiplatform-ready framework. alittleb.it has created DWG department motivated by the passion for gaming and following a concentric diversification strategy – in fact, alittleb.it’s skills and experiences are very useful for game development, and so to enter into B-to-C market. can be web-based too and completely integrated with social media (like Facebook). 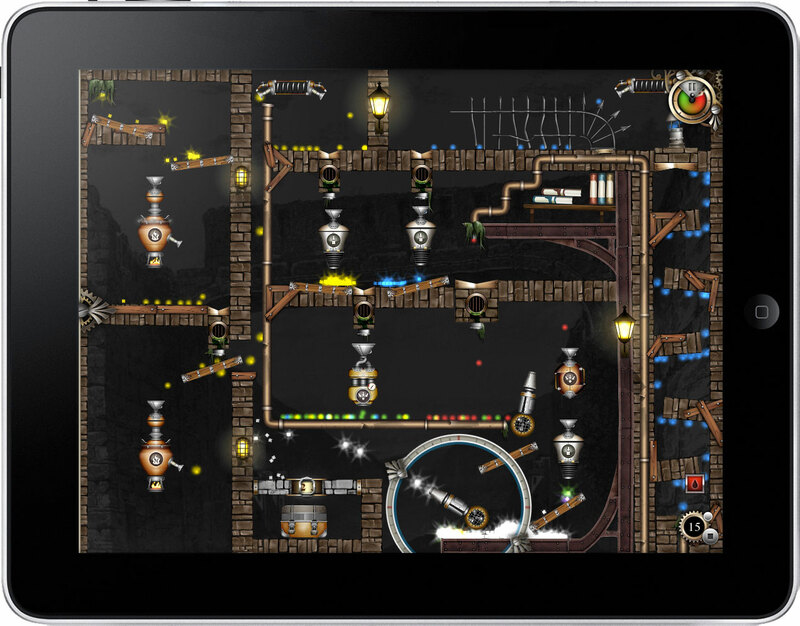 Rise of the Mechanologists is the new version of Master of Alchemy for PC and Mac, fully revamped to satisfy the different audience. The game has been revised, with reworked controls, beautiful HD graphics and refined levels, that will test the ability of every puzzle game lover that is looking for a real challenge. The new HD graphics supports the PC and Mac screens up to the 2560 x 1440 resolution. Support for high resolution screens, up to 2560 x 1440. Controls adapted for mouse and keyboard. 60 revised levels to master. Master of Alchemy is an original and engaging puzzle game based on the manipulation of solid, liquid and gaseous elements. The game’s dynamic mechanics enable puzzle challenges and solutions like no other where you must transform elements using alchemy tools to make stunning discoveries. Master of Alchemy uses a custom-developed game engine with fully realistic particle physics and beautiful, high-resolution graphics. By utilizing a variety of instruments ranging from pipes and coils to blenders and hot air balloons, players create new elements and substances to overcome obstacles and advance to new levels. Master of Alchemy HD (iPad Version) was presented at E3Expo 2010 by Chillingo – our publisher. Controls: Master the art of Alchemy by manipulating properties of matter at your fingertips! More than 60 Levels: Increasing puzzle complexity leads to hours of enjoyment. Nearly 20 tools (Alembics): That allows players to overcome obstacles and navigate through complex structures. Beautifully Rendered Graphics: Featuring Steampunk art style that lets players experience the old-world feeling. Phenomenal Music: Featuring sound effects that mirror your moves. Character Evolution: Choose from six different types of characters to perform various tasks throughout the game. 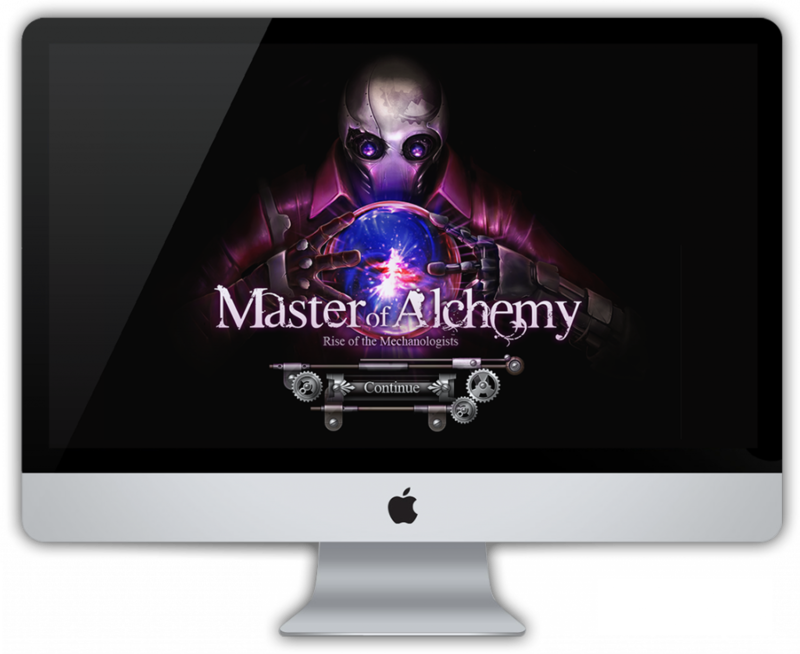 Master of Alchemy has been developed to be multiplatform – besides the iPhone and iPad versions, we could also release MoA to Windows, Mac, Linux, Android and Nintendo DSi (with the necessary UI adaptation) [ps. We are not saying that we will port for sure MoA to these platforms – We are only saying that if we would, we could]. This is because we have developed a Multiplatform Framework; a Node-based scripting editor; an Editor platform.